Chef Nicole graduated from the French Culinary Institute in New York City before beginning her professional career at Bradley Ogden’s One Market Restaurant in San Francisco. She then moved on to the Biltmore Hotel, Michelle Bernstein Catering, and the fast casual Crumb on Parchment, where she was also Executive Chef. 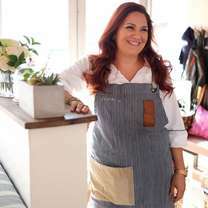 Prior to joining DIRT, Chef Nicole helmed the kitchen at Fooq’s in downtown Miami, which she helped build from the ground up; during her tenure at Fooq’s, she was included in Modern Luxury’s 2015 “5 Chefs to Watch” and the restaurant received a 3-star review from the Miami Herald. She was recently selected to appear in the cover story for Indulge Magazine’s February / March 2016 food and wine issue. Chef Nicole is a true believer that the quality of ingredients and consistency of the food are what keep guests coming back for more. In her 15 years in the food and beverage industry, Nicole has made the rounds of some of the most well respected hotels and restaurants in some of the most highly recognized food cities in the world. Nicole is a big supporter of the local farming community in Florida and uses every opportunity possible to showcase ingredients from local farms and artisans, and has personal relationships with all of her purveyors. She is currently available for private events and classes. For Miami chef Nicole Votano, growing up in London meant enjoying endless variations of the traditional trifle. Her go-to recipe showcases the airy fluff of Reddi-Wip, rich buttery crumb of vanilla-scented pound cake, and zip of citrus zest and berries in every bite. "Perfect Saturday morning brekkie with my munchkins @miamismokers bacon😚 #miamieats"
"Avocado Toast skills still on point. 🍞🥑... always love a good #avocadotoast." "The fried rice from @noname_chinese is so satisfying that you don’t want to stop eating until the bowl is empty." "There are few people who I go out with and don’t even look at the menu..... but when I’m with @#wasabi"
"Vegan sweet potato Sammie with cashew aioli, parsley-walnut pesto, arugula and caramelized onions. For all you veggie lovers out there! 🍠🍠🍠❤️💛🧡. #vegan#sweetpotato #eatyourveggies"